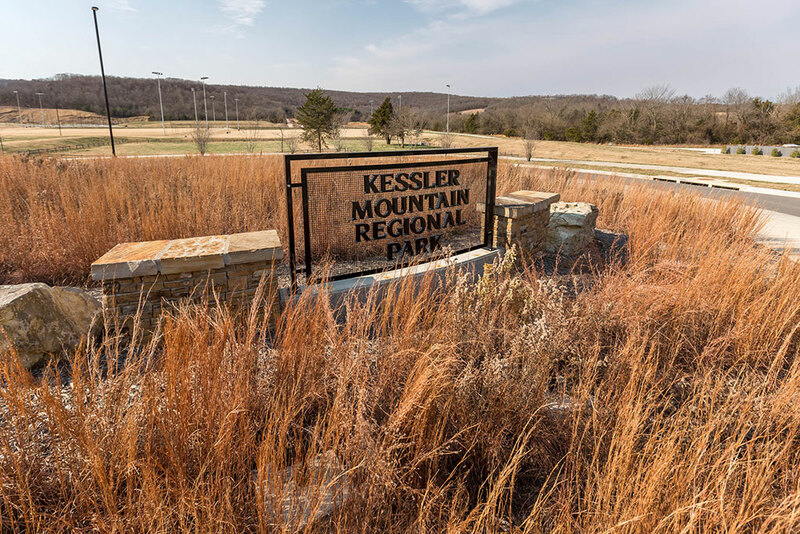 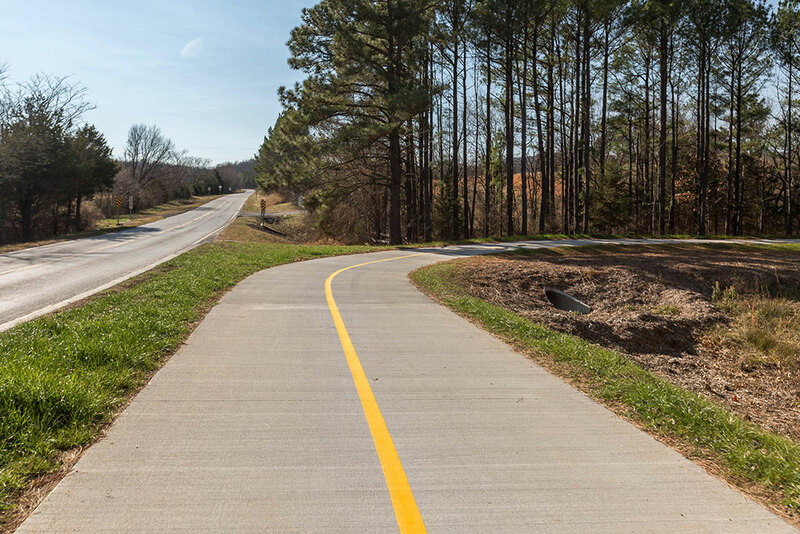 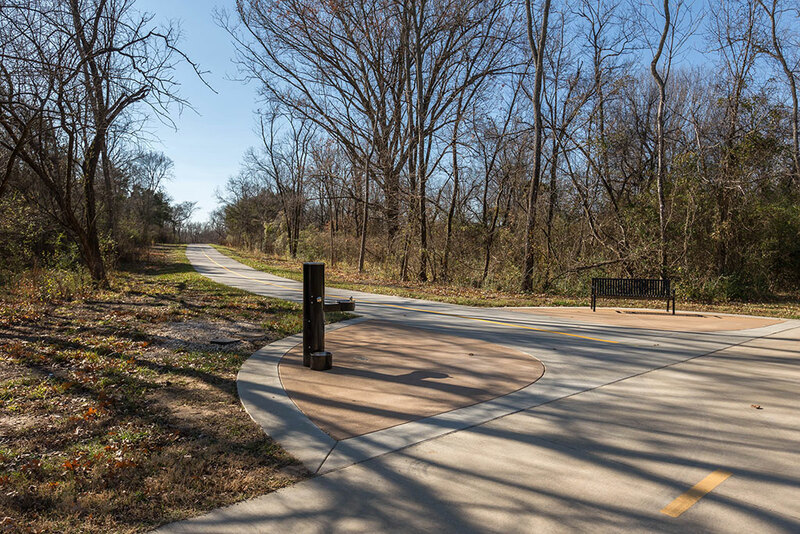 Crews are getting closer to completing a new trail that leads to Kessler Mountain Regional Park in south Fayetteville. 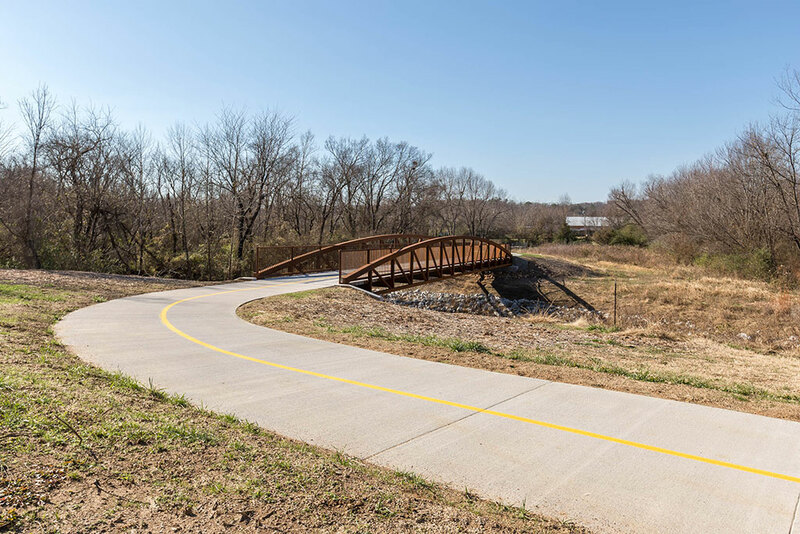 All but one section of work remains before trail users can begin traversing the area between the new park and the existing Town Branch Trail. 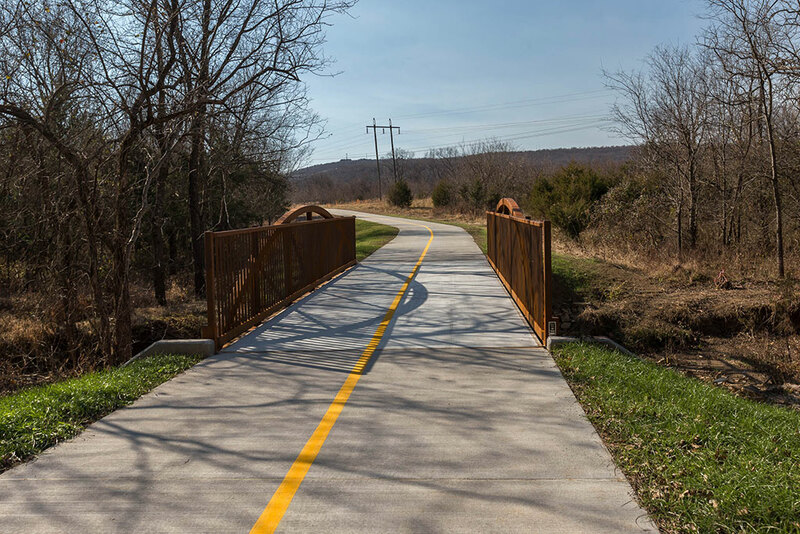 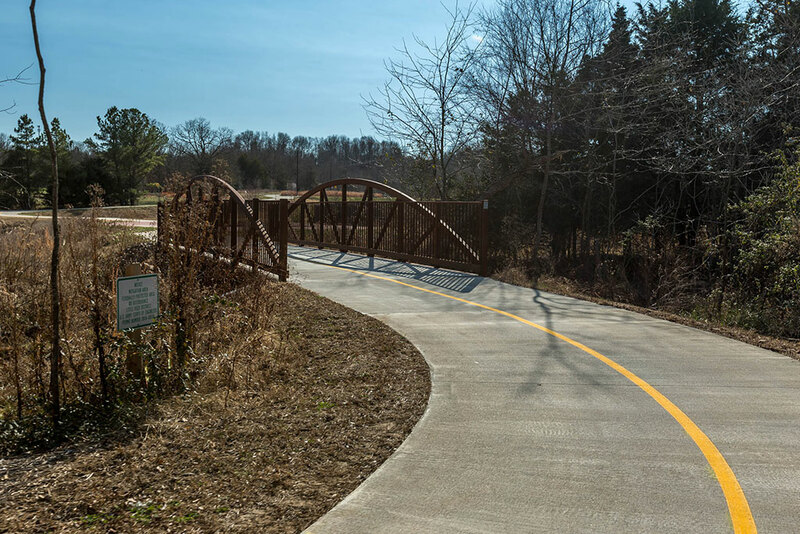 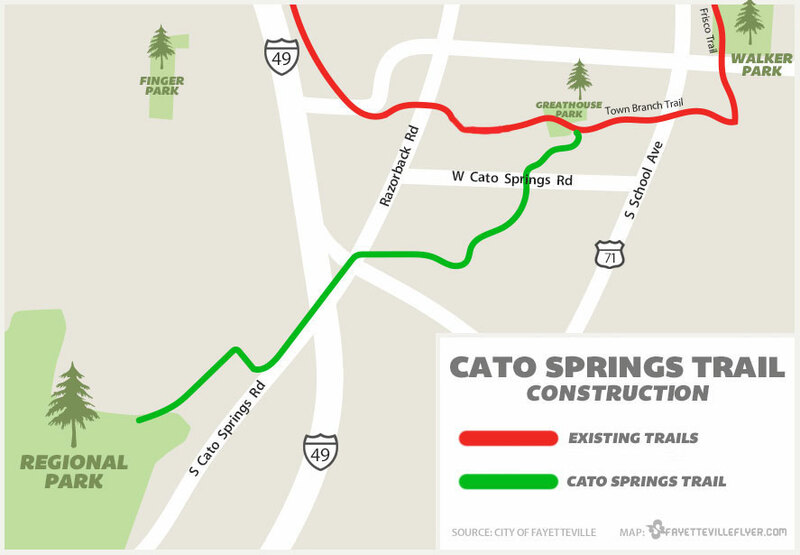 The 2.7-mile stretch of path follows the Cato Springs Branch while utilizing a series of crossings, underpasses, bridges and a tunnel as it heads southwest to the base of Kessler Mountain. 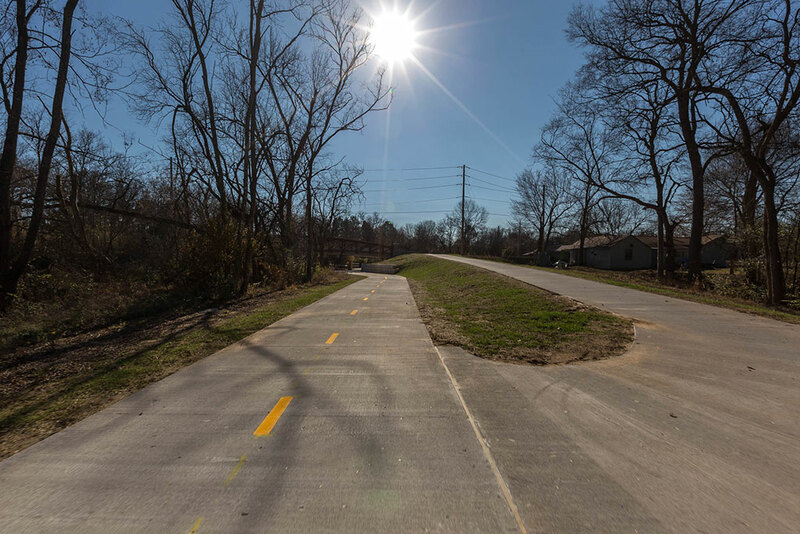 The work, which began in April, has come in several phases, with city crews responsible for about 1.7 miles of trail. 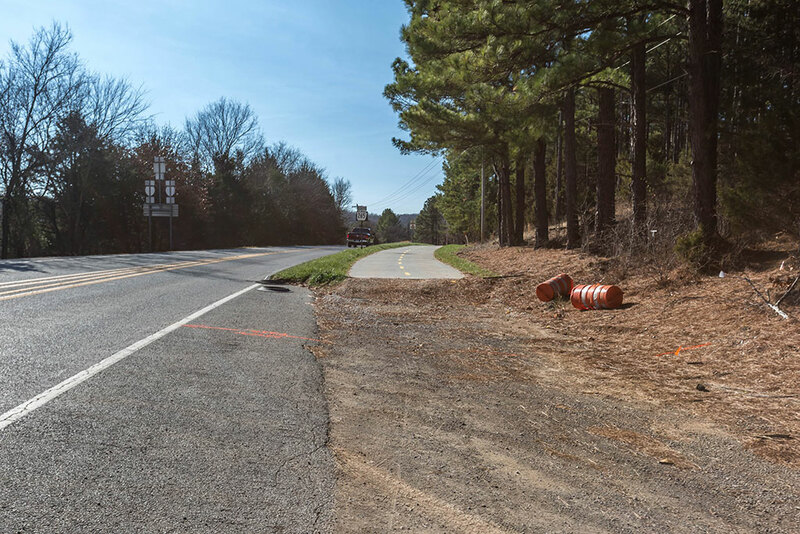 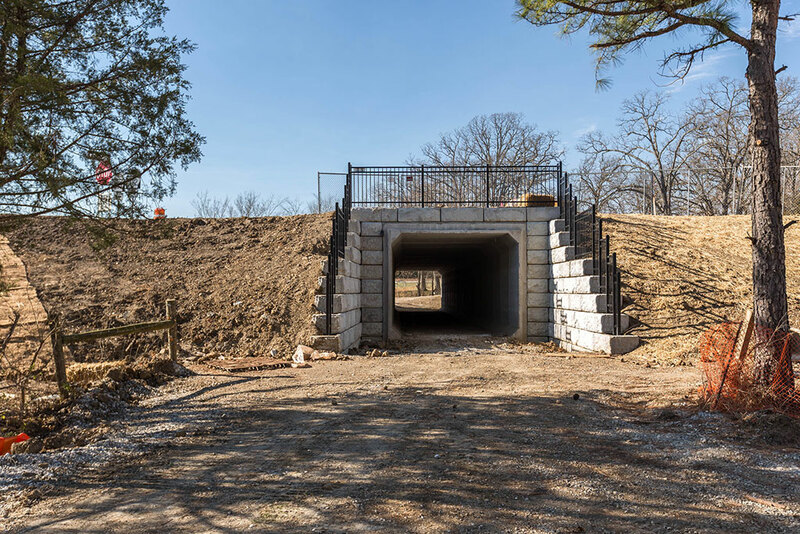 Private contractors are in charge of another mile of trail, including a tunnel under Razorback Road and a bridge following the overpass at the Fulbright Expressway. 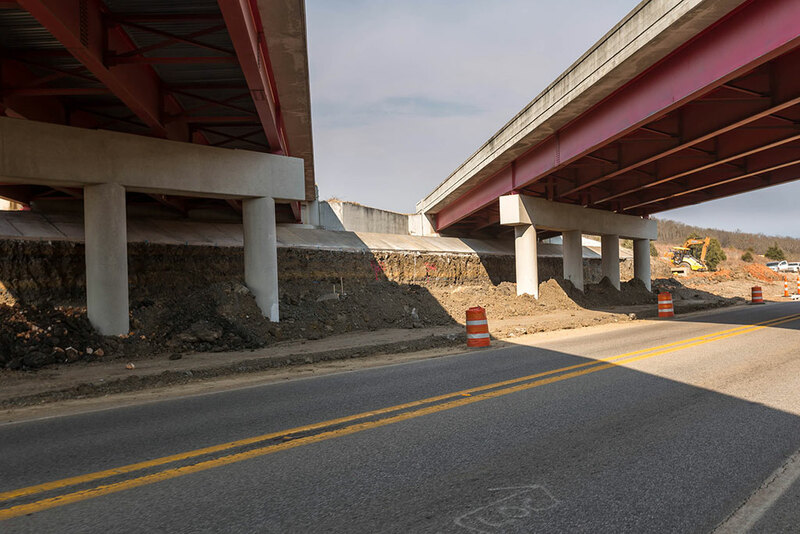 The tunnel and bridge over the expressway are both in place, but crews are still working to complete the pathway that leads across both major pieces of infrastructure. 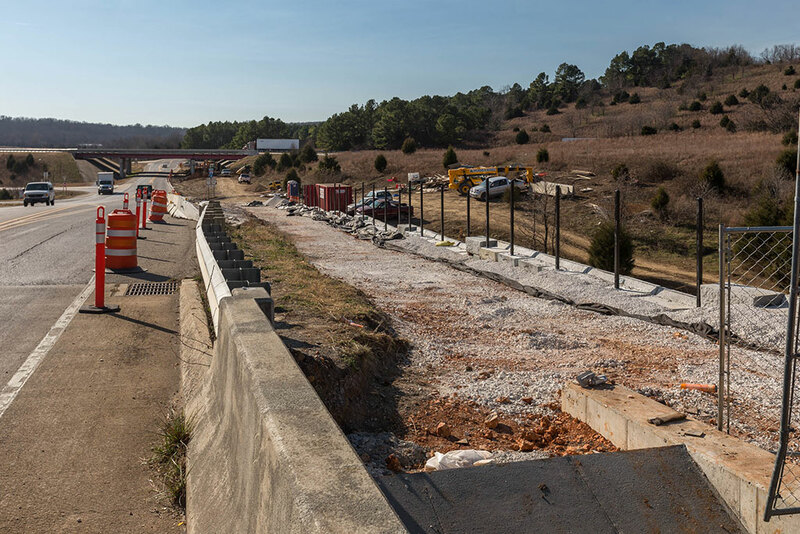 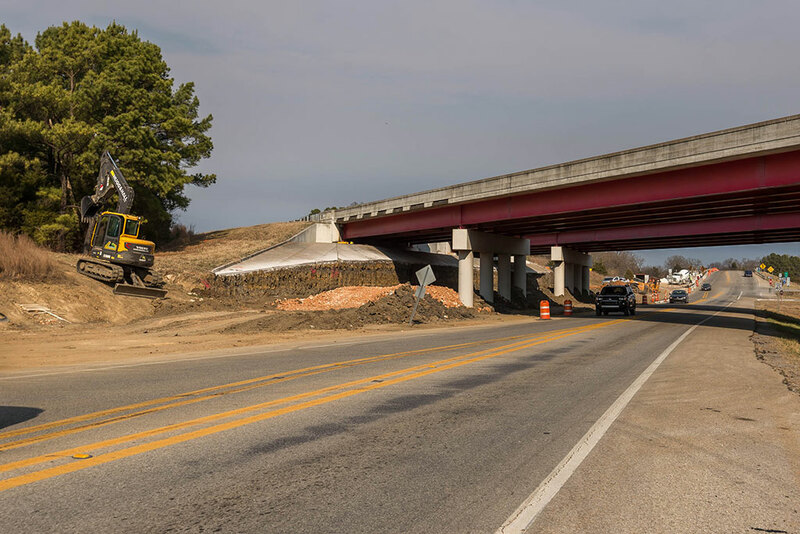 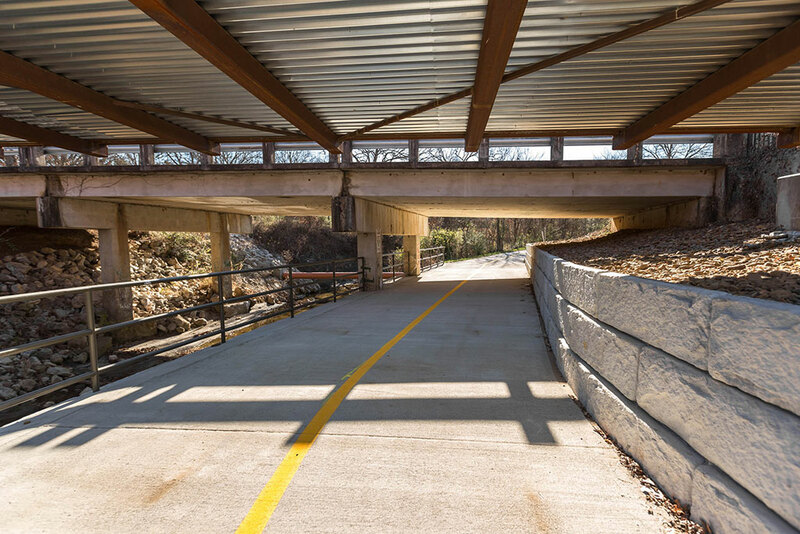 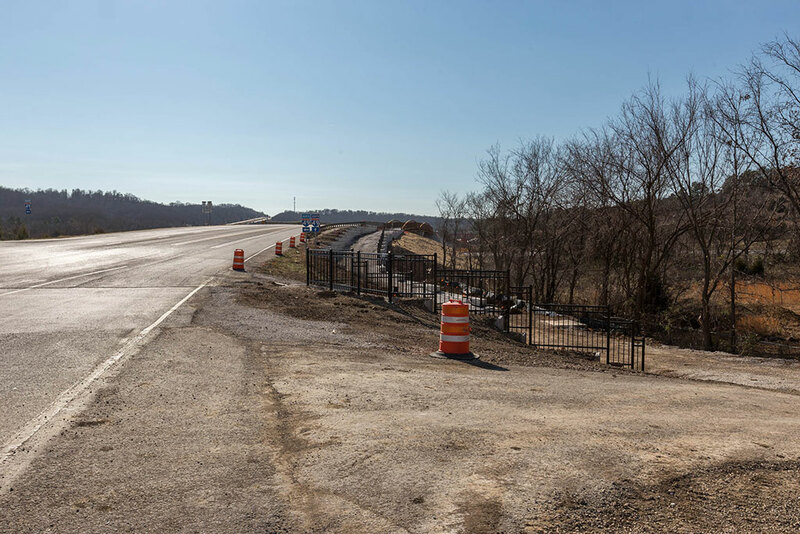 The final steps will be to complete a cutaway of a portion of the embankment under Interstate 49, install a retaining wall under the I-49 bridge, and pour the final stretch of concrete connecting the tunnel to the newly-poured trail that sprouts from the regional park. 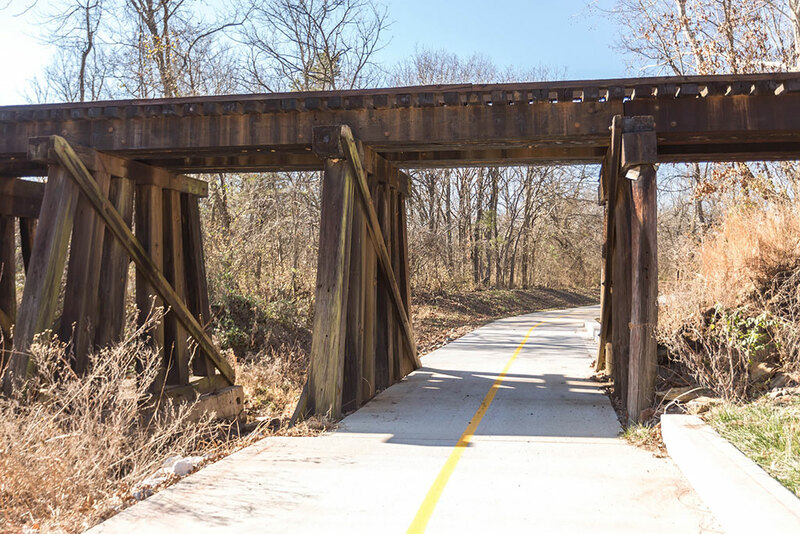 Matt Mihalevich, the city’s trails coordinator, said the project is on track to be open in early 2018. 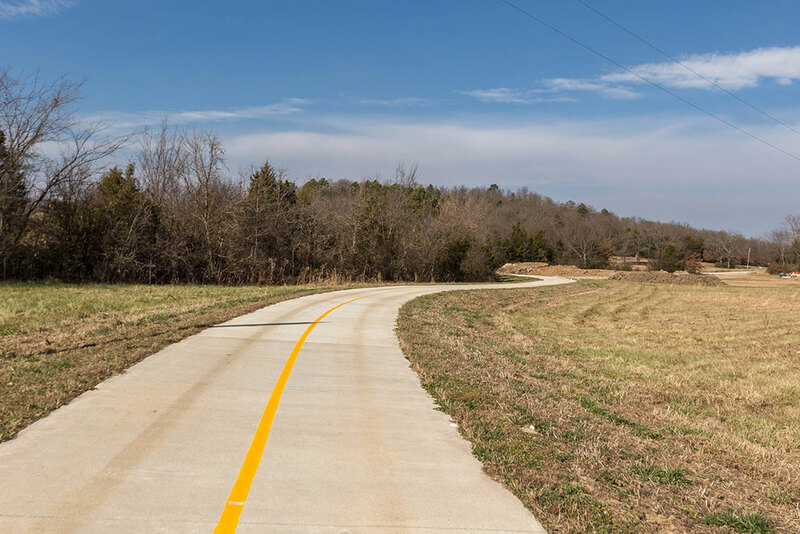 We snapped some photos headed south from Town Branch Trail this week. 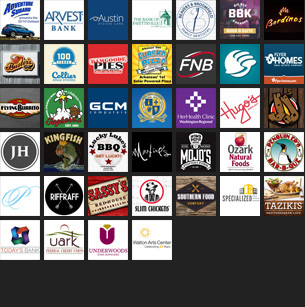 Below is what we came back with. 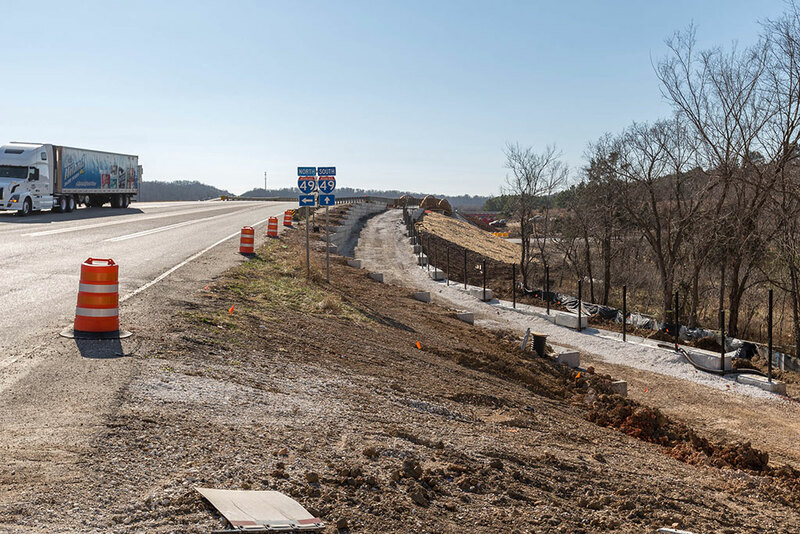 To see our earlier photos of the progress, visit our story from Aug. 3. 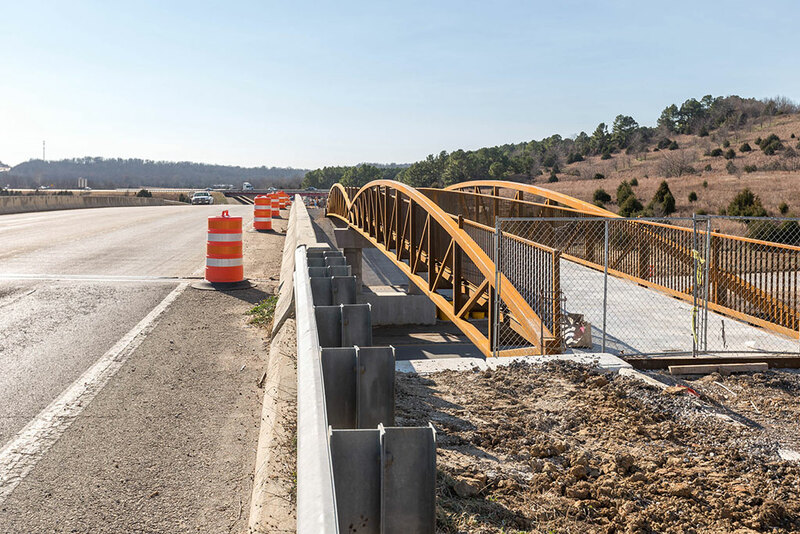 To see photos of the installation of the 130-foot-long bridge over Cato Springs Branch, see our story from Aug. 31.